Since I inherited my grandmothers piano this past early fall, (that is so dear to me) it seems to be the first thing I decorate now. My grandmother was an amazing woman, she always had her piano looking fabulous and she played even more fabulous. SO I went with a red, black, white, blue, and damask look for my piano this Valentines. 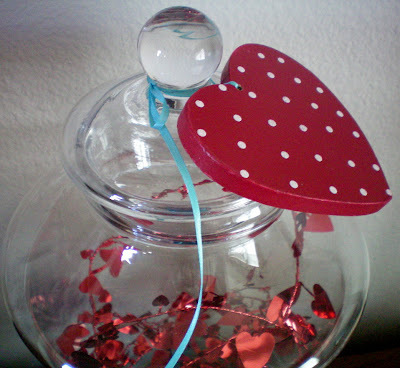 I filled an apothecary jar with some red tinsel like heart garland. I added a red polka dot wood heart around the knob/lid with some blue ribbon. 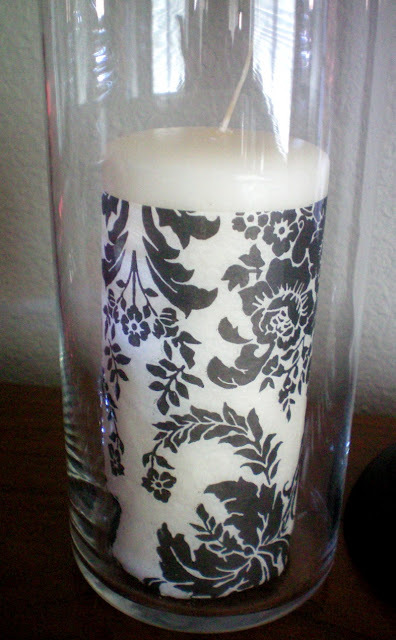 I took some damask tissue paper, cut to size, wrapped it around the candle, and taped it in the back. 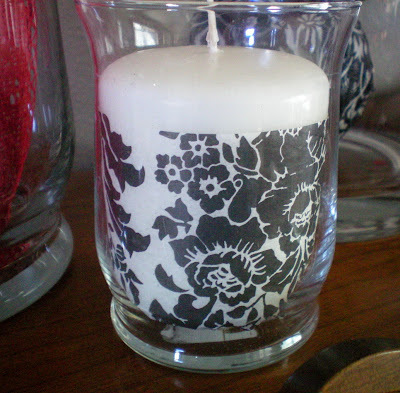 You can mod podge it on too. However, this way if you don’t want to keep the tissue paper look you can just pull it off. I filled a small apothecary jar with cinnamon sugar hearts. and here is the small candle. 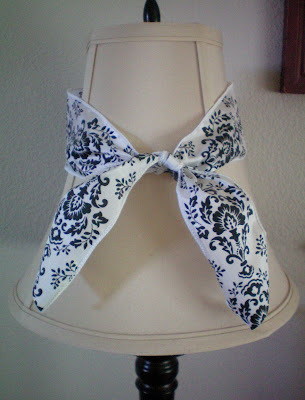 I took simple Walmart ribbon and added a piece with a tied knot to each lamp shade. None of this cost me a thing, I had all the stuff and just played around until I got the look I wanted. Thanks for stopping by… HAPPY CRAFTING, DECORATING, CREATING! I am linking up with SYS Thursday at Somewhat Simple HERE Show and Tell Friday at My Romantic Home HERE and A Stroll Thru Life for Tabletop Tuesday HERE. I love how you added just a hint of blue. 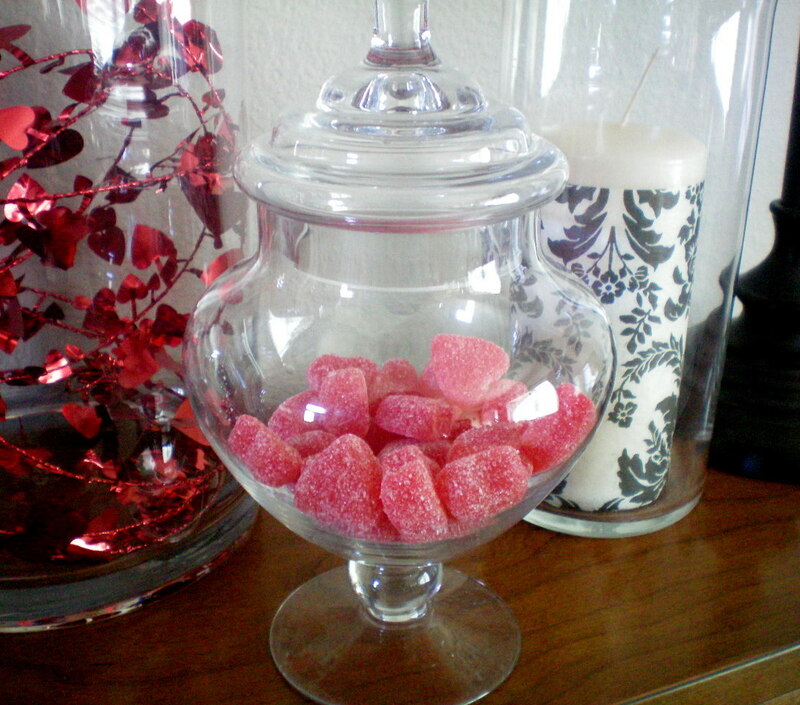 I havent even begun to decorate for Valentines *sigh*. 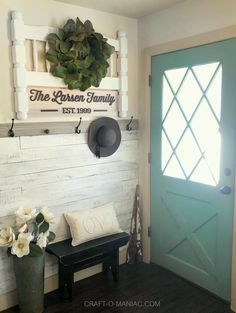 So easy and yet it looks great! You did it again. Thanks for the inspiration! Looks lovely! I forget how much I really love damask! Truly lovely! 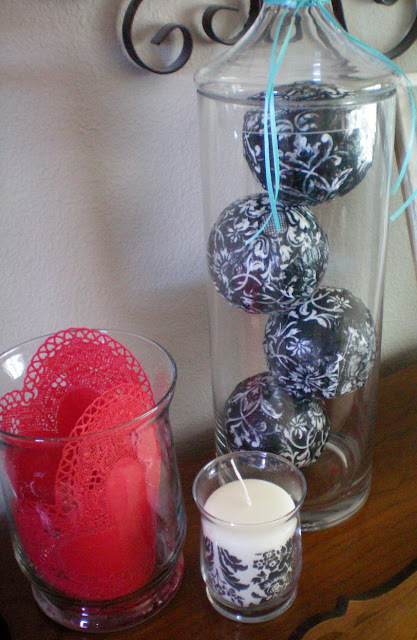 I love damask, and with the valentine “theme”, it is stunning! Thanks for sharing such an inspiring display! I love the look. I don’t really decorate for Valentine’s Day. I can’t even remember what I had out in places before Christmas…things are a little bare around here so far! That looks AWESOME Jen!! 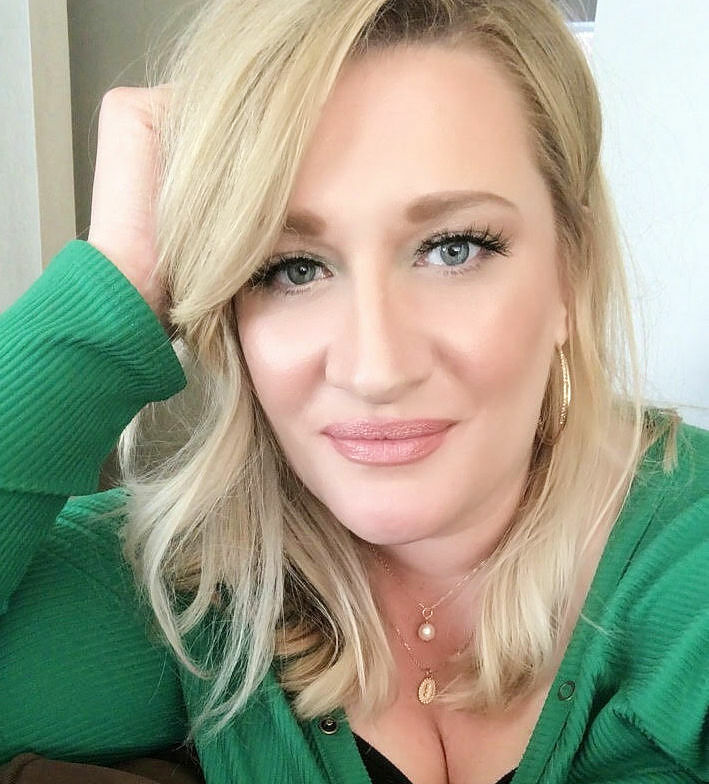 I have a ZILLION and one new valentines ideas popping in my head….I can’t wait to link them up for you! love-love-love!!!! 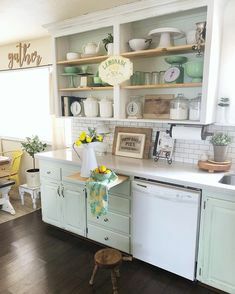 your decor is always FABULOUS!!! ooooh pretty blog! and all these little decor touches are fantastic! I love your ideas! Can’t wait to see what’s next! 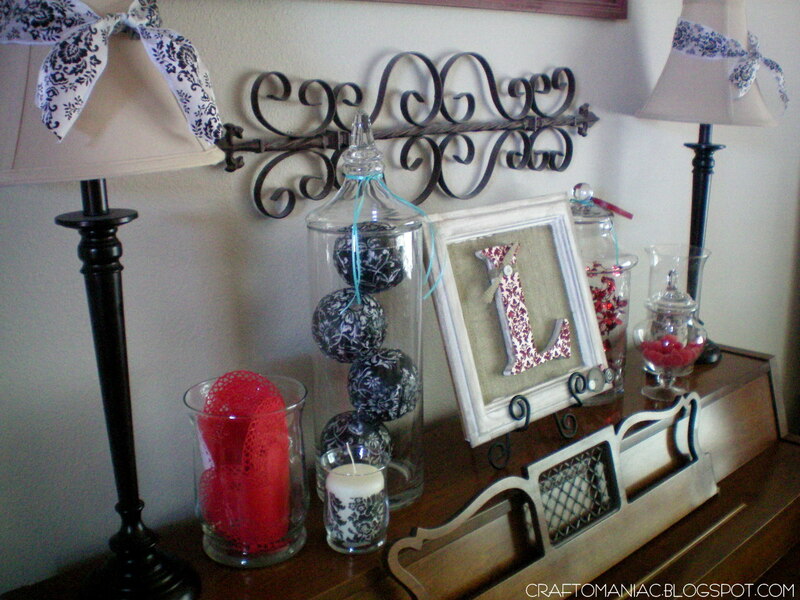 Ohhh my…I love your beautiful Valentine vignette! Black and white damask is one of my all time favorite patterns! What a precious treasure…to have your sweet grandmother’s piano…such a blessing! 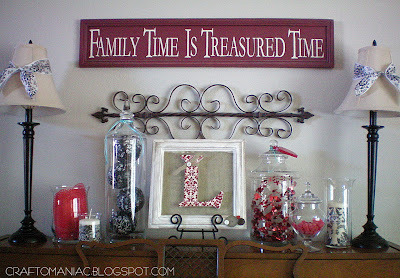 Thank you for sharing it and your pretty vignette with us today! Don’t you just love it when you have everything you need to put a vignette together! Yours is especially beautiful! How very special to have your grandmothers piano. Lovely decorations and as you said the best is that you had everything. Great job of creative decorating. You’ve gotten me in the mood for Valentines. Wow, you are all ready for Valentines. Everything is very pretty and you used such great ideas! Everything is so pretty. It’s hard to believe Valentine’s Day is almost here. Very pretty! Some really great ideas! Thanks for sharing! !